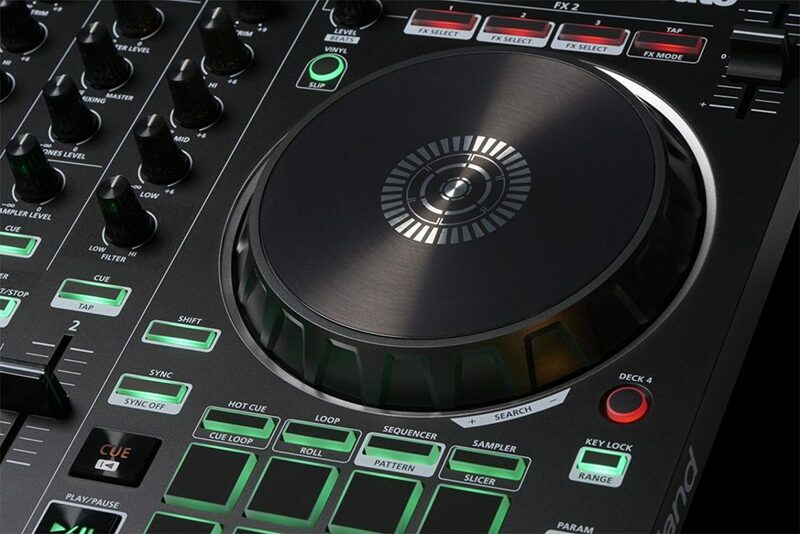 I’m excited I got to review the Roland DJ-202. 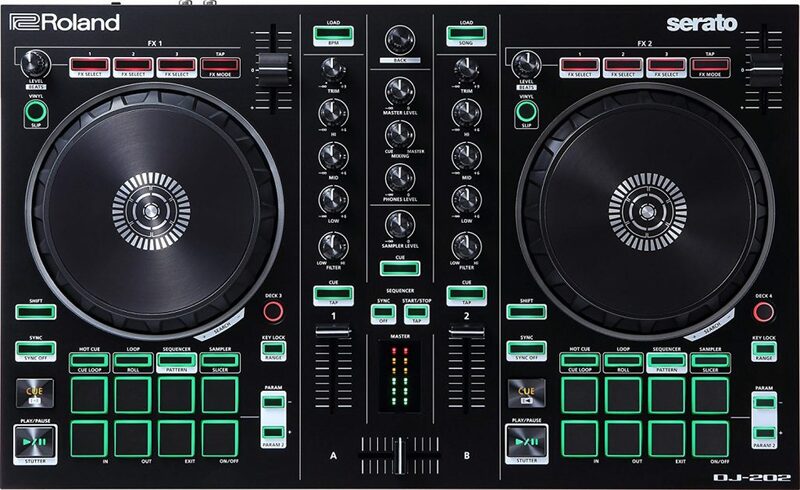 It is a great beginner DJ controller with tons of little features that all add value. The controller has two channels and four decks, large plates optimized for scratching, is compatible with iTunes, and has some classic Roland drum kits included. Basically, this is the perfect controller for a beginning DJ. It’s time to take a closer look if you want to master this craft. 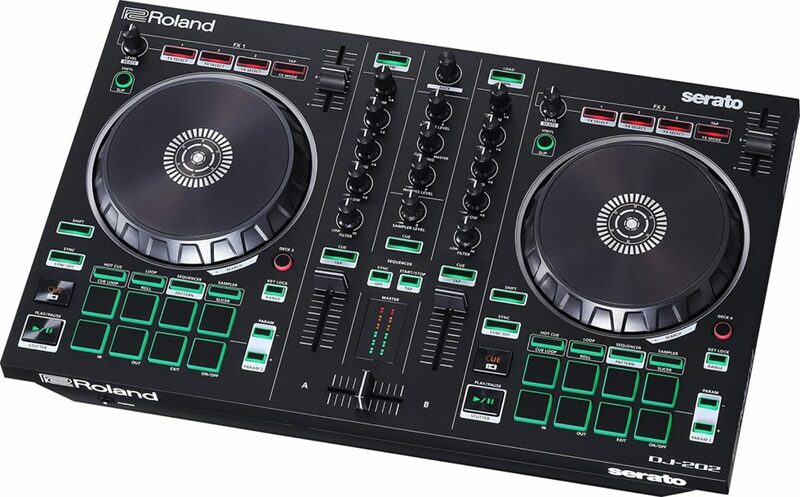 The Roland DJ-202 was designed for use with Serato DJ software and comes with Serato DJ lite. However you can use it with any DJing software. This software is great for beginners but has functionality missing. Anyone truly interested in getting the most out of the device will have to look into a full Serato (or other DJ software) purchase. This controller contains all the features you would expect on a controller. You can load tracks quickly into either channel by selecting them onscreen using a knob and loading via the load button for each channel. Each channel has EQ for adjusting high, low, and mid frequencies, as well as a basic filter and volume control. There is a crossfader for controlling the mix of the two channels, as well as volume controls for master volume and headphone volume. 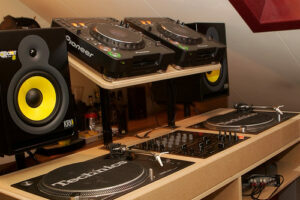 But the cream of the crop is the fact that it’s a 4 deck controller allowing you to mix 4 songs at once. This feature gives this controller great value. Usually quad decks start emerging around the $350 price point. One of the best features of this controller in my opinion are the spin plates. The plates are highly responsive to touch and sturdily built. It’s easy to generate a number of highly impressive scratching effects with a light touch of the plates. Although the controller itself is very lightweight and portable, the plates are solid and perfect for scratching. Each channel has a bank of effects. You can assign these in the Serato software. Common audio effects such as flange, echo, chorus, phaser, etc. can be easily loaded to buttons above the spin plates. A total of three effects can be loaded at a time and these effects can be easily changed onscreen via the software. Basically this means you can create tons of original effects. You can toggle effects with these buttons and change the level of effects with a potentiometer knob. The tempo of each channel can also be adjusted using a slider in the upper right hand corner. Temp control can be a bit tricky especially for beginners, however there is also an option to sync the two channels, which will automatically calculate and match the BPMs of the two channels. Each channel has a set of eight pads at the bottom. You can use these pads to store loops and samples for easy use. The pads can be loaded with looping portions of the track or one shot samples. These can be fired at will and the program handles the timing. This controller has several classic electronic drum kits included. With this you get even more value. You can assign these kit samples to the performance pads. The control scheme of this feature is a little difficult to get the hang of. But once you figure it out, it’s very easy to create original drum patterns to play over your mix. You can load and assign your own additional sample banks. You can insert drums live with the pads while a sequence is playing and the software will play them in time. 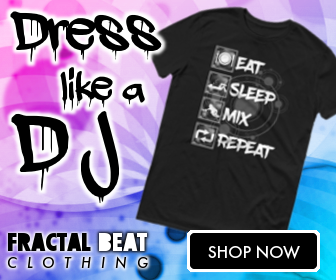 This is perfect for learning controllerist DJing. Although it is not required, additional features of the controller can be accessed by upgrading to the Pro version of the Serato software. Among these features are the option for you to record live DJ performances and to cue loops and effects in advance. You need to upgrade to get usage access to the two additional decks within Serato. However, even the basic features of the lite version are more than enough for a beginner to create professional sounding mixes with only a small amount of practice. All in all, this is a fantastic entry-level controller for anyone who wanted to get into DJing. This is a great all around controller for multiple different styles. 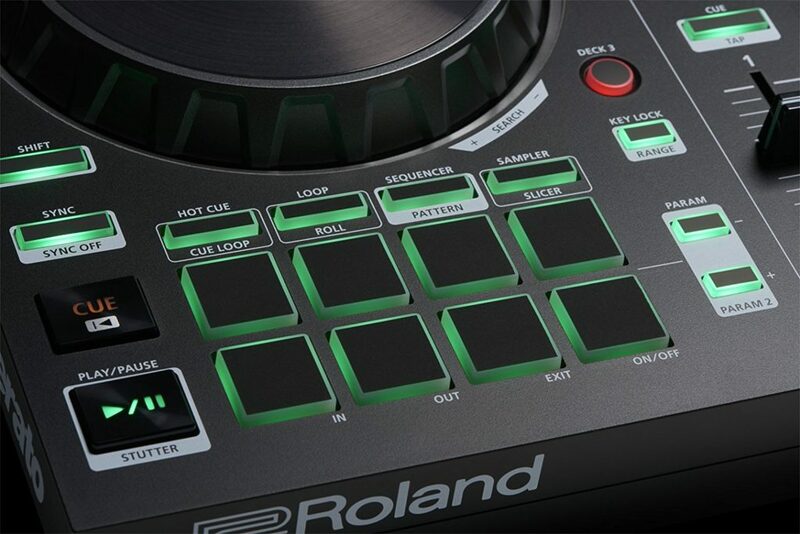 The Roland DJ-202 DJ Controller is a great piece of DJing equipment. It is perfect for a beginning DJ looking to learn the craft. The controller is portable and packed with enough features for professionals looking for a mobile set up. Probably the best overall feature of this controller is the spin plates; these plates are very sturdy and well built with the perfect touch response. If you’re looking to get into scratching, this is a great controller to get started on. The four decks for the price point are amazing as well. Mashups and party mixes take on a whole new magnitude of possibilities when you can use four samples at once. With on the fly customization the drum pads are great if you’re looking for a more controllerist path. The lite Serato version included with the controller has everything you need. But additional features are only available when you upgrade to the Pro version. This is an equipment guide for beginners looking to get into beat making and trying to figure out how to get started. With technology where it’s at today its very simple and takes very little investment. With some key pieces of gear you can easily become a music producer making your own beats. The great thing is you can start making beats right away, regardless of how much investment you’re willing to put into your hobby. Practice: Learning how to properly make beats with your equipment is one of the most important parts. The DAW is your main hub. All your beat making will be done in this software. Sequencing, mixing, recording and mastering your composition; it’s all done with this program. There are a lot of free DAWs available to get your feet wet, so I’m going to suggest a free version and a paid version. MU Lab is probably my best suggested Free DAW. The software allows you to record, mix and play around with multiple tracks. It also has a lot of secrets hidden inside its menus for functionality. MU has MIDI and audio recording which is by far the most important feature needed for producing music. You’d be surprised how many programs don’t have this basic feature. You’ll also find it has a good assortment of effects and filters. You won’t feel too restrained with this program, especially as a beginner. If I had to give up my paid DAW I’d have to go with MU Lab which you can download here. If I had to go with a paid program I would hands down suggest my ultimate favorite FL Studio Producer Edition. There’s a reason it’s the most used DAW software in the music production industry. It has the most features, most support, most third party add-on effects and sound engineers create samples solely for the program allowing for easy integration and finding the perfect sounds. 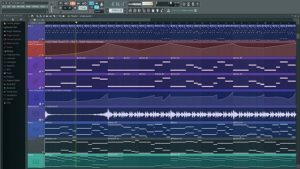 On top of that I found one of the most comprehensive courses ever to bring you from beginner to master in music production with FL Studio (next section). Now FL Studio can be found if you know where to look. I want to say, if something brings you so much value and enjoyment, you should definitely support it as a thank you as soon as you can. FL Studio Producer Edition can be purchased here. Be careful there’s a cheaper “Fruity Edition” of the software that does not allow you to record it is not worth the money, go with MU Lab for free instead. Everything that’s worth having takes effort to get and becoming a skilled music producer is no different. I know practice isn’t technically equipment but it’s one of the most important aspects of becoming a good composer. There’s nothing more frustrating than having an amazing piece of music in your head but not enough technical skill to make it reality. There’s nothing worse than feeling so lost and never finding your way to your dream. The DAW will be daunting when you first get started. It comes with so many sub menus and things that could be done. It can make you feel insanely overwhelmed. I know I felt that way. I wished I had a full on road map of what to focus on when, a guide to what the most important things in production were and how to design an build a song from the ground up. What I wanted more than anything was to learn how to go from absolute zero to making my sound, my piece. Then I found an amazing online course that solved all these issues. With 750 hours of tutorial videos organized to show you where to go next and an on demand community where you could ask questions if you get confused. This course will get you on par with most mainstream producers, and it’s just up to you to refine your sound to be your sound. That’s why I say practice is mandatory, without guidance and practice you’ll never get where you want to be. Investing in a great course will allow you to quickly reach your goals and become the producer you want to become. Click this link to check out this amazing course. Now technically you can start producing music without one. But it’s basically going to be you dragging and dropping notes one by one in a program. I can’t think of anything more disconnected from music. With a MIDI keyboard you’re able to record patterns in real time, play chords out with proper timing, and easily record song patterns. You don’t need a massive MIDI keyboard either. If you’re extremely enthusiastic and want to invest a lot into your set up you can get a full keyboard. But most of the time all you really need is a 25key 2 octave keyboard. The most popular one on the market and most widely used is definitely the Akai MPK Mini MKII. 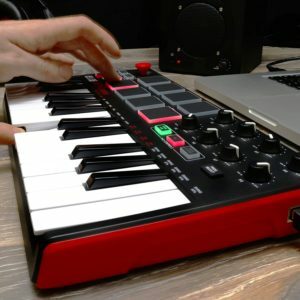 The Akai MPK Mini MKII is small, lightweight, and will fit on any desk. For size it’s about the same size as a computer keyboard. On top of that it allows for full MIDI mapping to not only keys, but velocity launch pads. These are insane for drumming beats as the harder you tap the louder it will be in the DAW pattern. It has some assignable knobs to adjust effects as well. However, I just use the mouse and change them in FL Studio myself so I don’t use them that much. The best thing is it’s pretty cheap for how far it will take you. You can check out the keyboard here. When you’re starting out trying to make a name for yourself in the music production world, you’ll need to spend a lot of effort, time and resources to get your sound out into the world. The internet is a great tool for sharing and communicating but it comes with it’s own challenges. CD Baby is one web service designed to solve these issues. I’ll talk about the pros and cons I found with using with this service in this quick CD Baby review. CD Baby is a content distribution service designed to give musicians and music producers the reach they deserve. The service itself is a popular place for people to look for new music and find new sounds and artists. The site also attempts to help users find your sound through staff recommendations. So if your sound is good enough you can expect some work to be done for you. Some being the focus of that statement. Essentially CD Baby is an opt in Record label, and manages distribution, sales and royalties of your music so you don’t have to worry about chasing down scouts and running demo pitches. 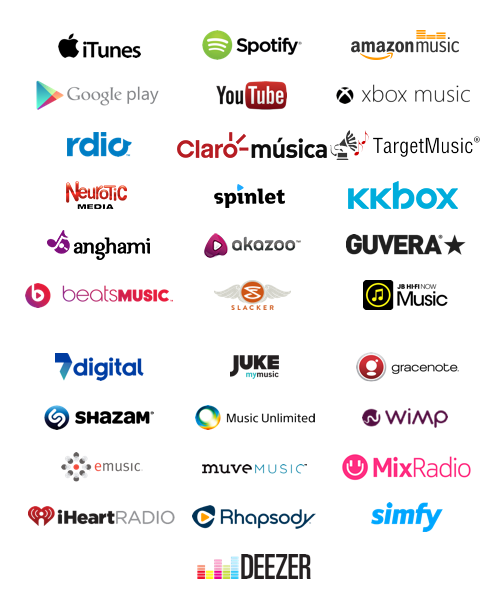 CD Baby will indiscriminately distribute to its large collection of well known and used digital partners; like iTunes, Spotify, Google Play, Amazon, Pandora, and many more. It puts you on way more markets and sites and has 30 partners. I will point out an additional partner, a sleeper network deep in the list, iHeartRadio. As a sound engineer I’ve seen a major move in the industry. Large media companies across the world are starting to use iHeart as their distribution for online radio streaming services. It’s starting to become a service they have to be a part of or they’ll be left behind. Stations across the world are starting to advertise iHeart to their listeners as part of a promotional agreement they have to satisfy. So being on iHeart is a good place to be as people listening in their cars start to get the message and check it out. In exchange for a percentage of sales CD Baby gives you the reach a record label usually would. With anyone able to opt in, it’s definitely an easy route to get your tracks and albums out to the world. It’s a go to option for upstart artists or first releases. CD Baby gives potential fans access to you. They give a free addon called Sync licensing which allows you to license your songs as well, allowing content creators to use your songs in their commercials, tv shows, games, movies and youtube channels, all of which properly pay you for your work. CD Baby is a bit of a lame duck when it comes to promoting music and artists. Where a regular record label will do the work and spend the money to promote in order to get a return on investment CD Baby doesn’t care, they only earn if you earn. Your music will end up in new release lists, sounds like categories, and suggestion algorithms, but that’s the extent of CD Baby’s promotion. Meaning all the work falls squarely on you. Which could be really good for you or really bad for you. But this all depends on how well you can guide new fans to find your work. If you’re really serious about wanting to start selling your tracks, beats and albums, I highly suggest you take a look at this course. It runs down all of the things you need to know to navigate the industry. On top of that it has rock solid tips on how to make your sound stand out and be exactly what content creators are looking for. Letting you really flourish on sites like CD Baby and Tunecore, especially with their sync licensing content creator access. CD Baby’s hands off promotion does come with perks for new artists though. It comes as a strong alternative to regular record labels. With the ease of joining, the ease of distribution and an extremely fair percentage cost to use their service. If you work smart and hard you can definitely build a life off your passion. Tunecore is a platform for conglomerating the distribution of digital music. The main reason to use this service is it allows for musicians to get their mixes and songs on multiple online distribution platforms. The main appeal of Tunecore is the sheer amount of implied reach that the site promises. In exchange for distribution of your music to these services they ask for flat yearly fees for putting the tracks and albums in their system. With a smaller year one stocking fee, and a larger recurring annual fee. What are the Benefits of Tunecore? Aside from the obvious benefits of the reach of the company, Tunecore has some advantages compared to competitors like CDBaby. Essentially the bigger your following the better Tunecore is for you. 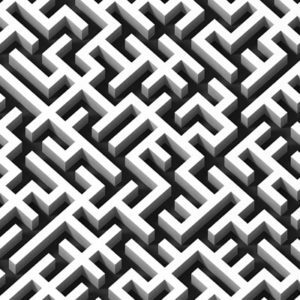 If you are only expecting to sell 5 tracks a month you’re probably better off going with a different distribution network, but if you’re frequently getting questions about where to find your tracks during outreach and shows it’s definitely worth looking into. The reason that Tunecore gets more appealing the bigger you are is because it charges a flat fee, and that fee only really becomes worth it if you sell around $950 worth of music a year in comparision to CDBaby. Another major benefit of the service is their synchronization licensing. Which allows you to make your music available to music supervisors for use in film and television. Essentially synchronization licensing lets you put your tracks into a database for content creators to use it in their own media. Things like television shows, commercials and large music events. These really snowball because once your song gets played in a commercial everyone’s going to be googling the title and picking up your track. If you’re part of the sync licensing Tunecore also does some legwork for you by trying to find potential placements for you. But for it to be worth it your mixes have to stand head and shoulders above everyone else’s and be specifically designed for use in different types of media. I’ve wrote a bit of a guide on how to build and sell beats for specific uses here. Is Tunecore a Scam For New Artists? It’s definitely not a scam, but it’s definitely not for the naive or new mixmasters. Just because you can put your music into the system doesn’t mean they’ll ever get purchased. A large portion of music (around 94%) on the platform sells fewer than 100 copies. 64% of the tracks manage sell more than one copy. 1 in 3 tracks don’t sell at all. You definitely have to be in the top 5% of music composers for this platform to really pay off. The main problem with the above paragraph is the annual fee, the first year for an album is cheap at $35.99 but the following years it costs $50 to keep your album on the platform’s roster. If you’re not making the sales you’re just going to be losing money and should check out this article on how to make your sound as marketable as possible. As mentioned above CDBaby is a great alternative if you’re expecting lower sales. With no recurring fee, but they skim a percentage of what you sell. Both services provide a nice way to reach potential audiences and are a great way to bring in some extra money that can be used to improve your setup or free up some time to continue to create. But if you’re looking at a distribution service be sure to pick the one that’s right for where you’re at professionally.